If you use Gmail, it is possible that you haven't notice, but Gmail supports now the addition of gadgets to its left bar. You can choose hundreds of gadgets to add, among the list maintained by Google in its iGoogle page. From this large number of gadgets, one of special interest is the twitter gadget. If you are a twitter user, you may have the twitter web page open during the whole day. Or you may be using a separate application, such as twhirl to see your twittts. Gmail now supports twitter using the twitter Gadget. 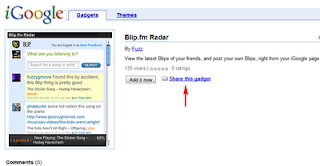 You just need to add the gadget link to the list of gadgets in Google labs, and it will be installed. Now it will be easier than ever to keep in contact with you twitter friends through Gmail.